The perfect Sunday | Life's Conundrum - Eat to Live or Live to Eat? What a great way to spend my Sunday – warm 20 degree sunshine and the family around me. 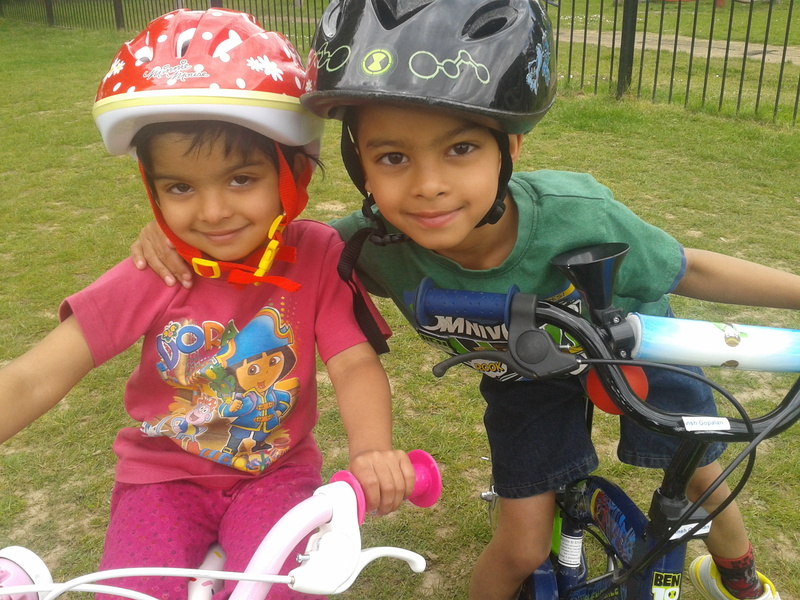 It started off with taking Ansh and Lola for their weekly swimming lessons followed by a trip to the local park where both enjoyed riding their bikes and generally running around. Both behaved for a change and ate their lunch without a fuss. Anna and I then proceeded to clean the barbecue which has not seen much action in over a year and prepped for the evening meal. Out of the blue, Ansh said he felt like having some tomato soup for dinner. I thoroughly enjoyed making him a batch of fresh tomato soup and grilling some portabello mushrooms and trout for our dinner. For all my vegetarian friends and family the mushrooms are a great addition to your barbecue repertoire and you can have fun tinkering with the various topping combinations. Heat a pan and add olive oil to it. First add the garlic and saute for 30 seconds before adding the onion, celery and sprig onion. Saute over medium heat for 2-3 minutes before adding the carrots. Continue sauteing for another couple of minutes before adding chopped tomatoes. Bring to a boil and then add stock cube and about 1 cup of water. Allow to cook for 10 minutes before adding the fresh basil. Blitz the liquid in a blender and bring it back to the boil before adding almond milk and a knob of butter. Adjust the seasoning and serve hot. I don’t have exact measures for this recipe but can share with you how I make it. 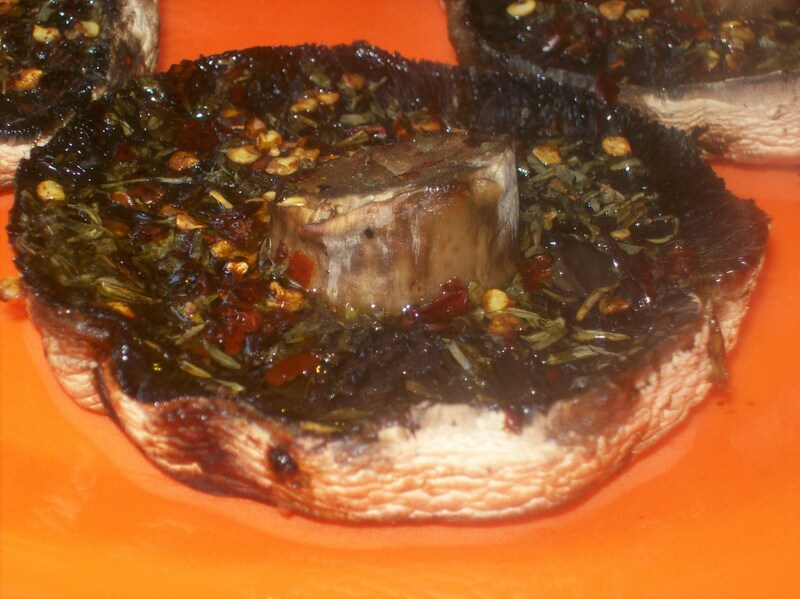 Skin the portabello mushroom before adding the seasonings. Sprinkle a pinch of mixed herbs, crushed red chilies and some garlic salt. 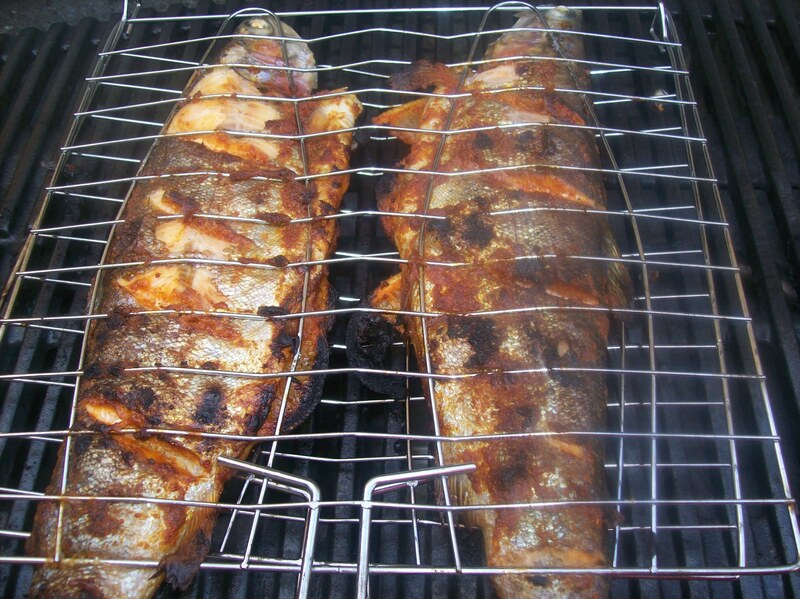 Drizzle some balsamic vinegar and good olive oil and grill on the barbecue for 15-20 minutes. Alternatively you can repeat the first step with the dry ingredients and add some lemon juice and butter instead of the vinegar and oil. Posted on June 2, 2013 by Anna and Shiv	• This entry was posted in Quick meals, Recipes, Soups and tagged Almond milk, Balsamic vinegar, Barbecue, Cook, Home, Mushroom, Sautéing, Tomato. Bookmark the permalink.